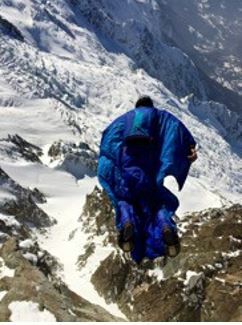 Chamonix: A High Flying Adventure! 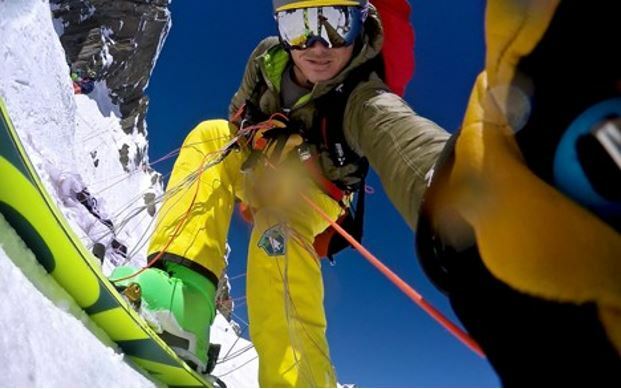 At the time that I am writing this, there is a search effort underway for a friend of the speed flying and mountain community who is missing in the Jungfrau region of Switzerland. 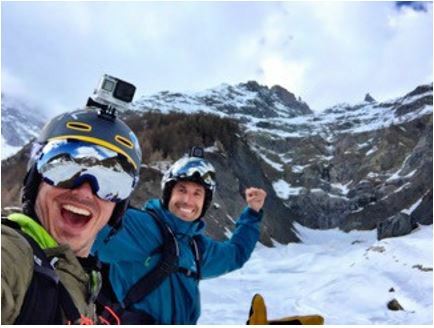 I flew and shared laughs with Harrison Fast in Chamonix during this trip and wish his family comfort in this difficult time, but most of all, I hope that Harrison knows how much we are thinking of him and his huge, warm smile and that our positive vibes and thoughts are making his nights alone in the dark, cold mountains bearable. 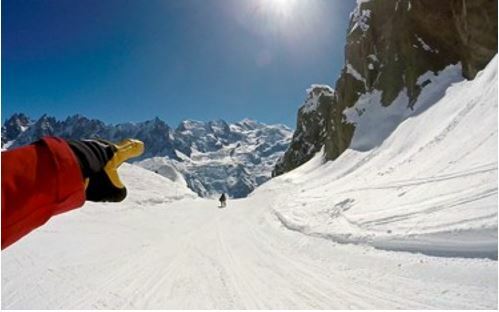 Chamonix is place of magic, danger and beauty. After spending time in the mountains and valley of Chamonix several times over the years in the warmer, summer months, I finally took the plunge and made the trip in the winter so that I could finally experience the wonder and power of these huge mountains. The birthplace of modern mountaineering and ski mountaineering, Chamonix is a lot like my base camp of the Pacific Northwest: If you get bored here, it’s your own darn fault. With plenty to see, plenty to do, plenty of terrain to challenge yourself and plenty of ways to scare the hell out of yourself, Chamonix is wonderland for photographers and adventurers alike. In fact, after only being in the valley a few hours, the quote of the trip came from our good friend Graham Shea, “This is a great place to die! There are so many options.” It is true. After a day of getting our feet underneath us and learning the bus system and figuring out the snow conditions, we hit our stride. Skiing thousands of feet of vertical at Grands Montets several kilometers up the valley from Chamomix, we ran into an amazing friend, Jesse Hall, and his mom!!! At over 60 years old, she just completed a speed flying course! Amazing! We chatted with Jesse and agreed that since the winds were just too iffy for flying, we would just ski all day, and ski we did. If you haven’t been to Europe skiing, it’s a bit of a shock. There aren’t waivers everywhere to sign, there aren’t signs everywhere saying you can’t do this or watch out for that. There are a few signs to tell you “this way to the bottom” and that is about it. There are groomed runs with bamboo on the edges and everything else is off piste. That’s it. 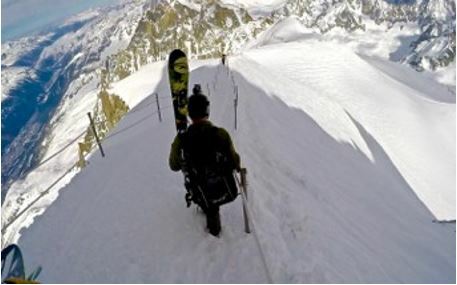 Be sure to watch what ski tracks you follow as they may belong to some gnarly Super Frenchie doing a SkiBASE or a speed rider who just flew his way to nirvana off a 100 meter cliff. It’s big boy rules here in France. So bring your big boy pants! Eventually we headed down the valley to an area known as Brévent. 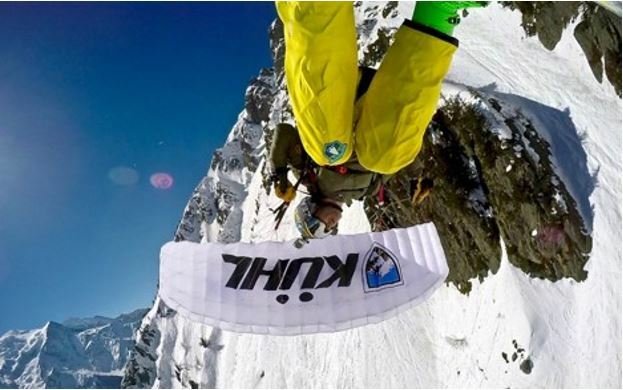 While you may have seen dozens of YouTube videos of wingsuit BASE jumpers hucking this incredibly low cliff and subsequently flying the Death Star’esque trench lines, Brévent is also very well known for its skiing and speed flying. After a few flights on one of the shorter, less knee-buckling runs, we decided to head up to the launch sites with a little more consequence. Although I have launched from the summit of Mt. Hood several times (11,249 ft.) with equal or greater consequence, this seemed all the more nerve racking. The conditions were good and the sun was shining, so we sent it. Sensory overload is one way to explain the experience. I’m sure my eyes were twitching around like I was in deep REM. There were so many directions to go and so many things to avoid all at the same time. 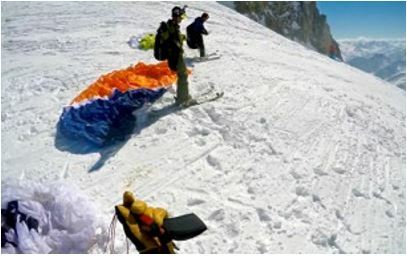 The icing on the cake was that after landing, all I had to do was bag up my wing, click out of my skis and get back on the gondola for more. Was this a dream!? Could it really be that good here?! Yes, yes it is. 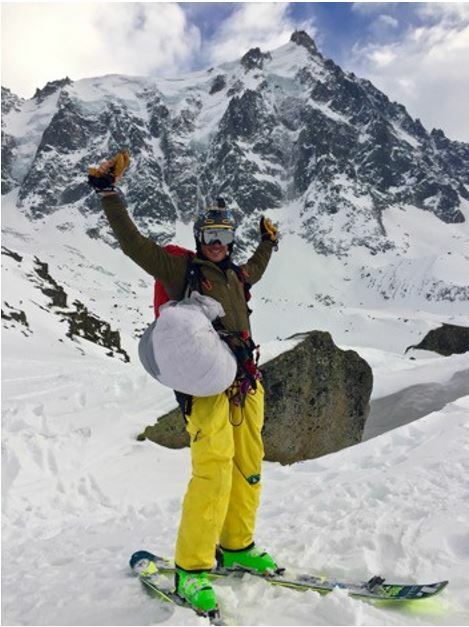 After spending the next two days flying the Brévent side of the valley, my good friend and organizer of the trip, Troy Keys, and I decided to head to the south side of the valley and go up l’Aiguille du Midi. A two gondola ride up the north side of the Mont Blanc massif, Aiguille du Midi rises over 3,000 meters above the Chamonix valley. It is an architectural wonder when looking at how long the span is between the Plan du Midi station and the Aiguille du Midi station at 3,842 meters (12,602 feet). If it weren’t dizzying enough being at over twelve and a half thousand feet, the walk down to the ridge line where Troy and I would launch from would be. A fall on this section would certainly result in death and there is an extreme likelihood that your body would not be found or recovered until the glaciers melt. Not an exaggeration. Fact. 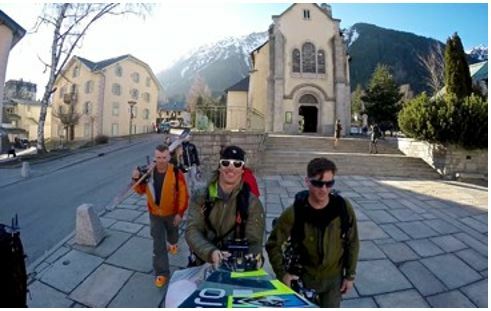 Once we made our way to the launch site, we watched a couple other pilots launch and were greeted by Harrison Fast and Gary Vaillancourt, part of the Colorado crew enjoying the alps for a couple weeks. It’s always awesome to see such smiling and inviting faces on launch. Especially when there is so much consequence involved in the launch and flight. 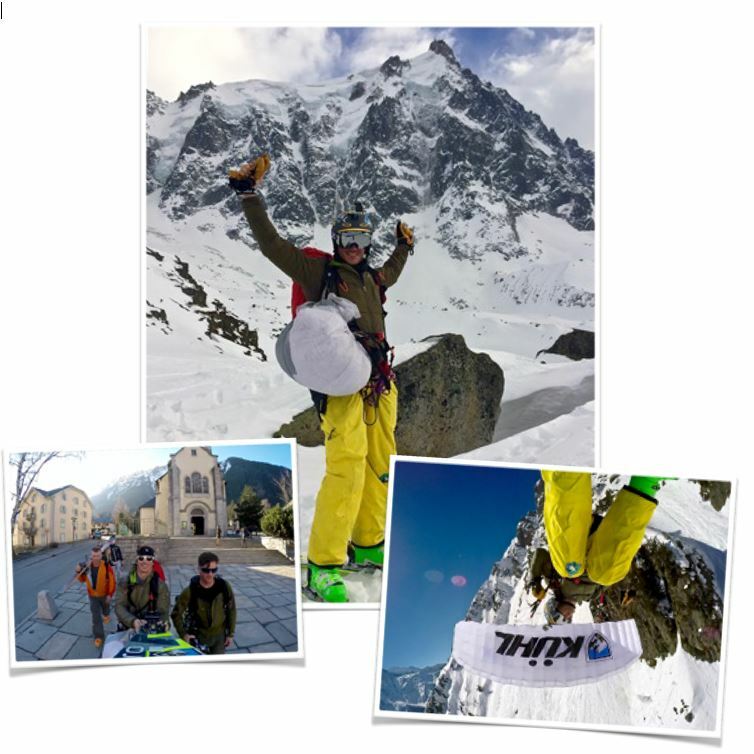 Troy and myself were doing the north face flight while Harrison and Gary were on their way down the backside along the Mer de Glace, otherwise known as the Vallée Blanche run. We exchanged high fives and smiles and came to peace with our respective journeys down the mountain. Once I had a good wing above me head, the key was to keep it that way. The air was just turning catabatic (where cold air flows downhill and makes launching quite a bit more challenging) and the possibility of a collapse while still skiing or a failed launch was moderate to high. As the ridge rolled down steeper and steeper, I loaded the wing more and more. My skis lifted off the snow just as I flew over a couple hundred foot serac and flew along the face of the mountain. Again, sensory overload was in full effect. Maintaining my bearing of where I was flying in relation to the cliff, seracs, gondola cables and my intended landing area, I enjoyed the ride while totally geeking out on Troy’s flight just ahead and below me. It was however, pretty difficult to fully enjoy myself with so much going on. I guess I managed. After playing along the cliff face, I decided it was time to start moving across the glacier below me to the area where I would begin skiing along the cliff walls to the area that Troy and I would meet up. Troy ended up playing a little more than myself and landed on the glacier. I made a visual assessment that his touchdown area was at least moderately safe, so I continued to our meet up spot while visually checking on him until I cleared a small ridge line. We met up a few minutes later and found it impossible to get the grins off of our faces. We laughed, high fived, hugged and kept looking up at our personal accomplishment. This trip just kept getting better and better! That evening we enjoyed yet another amazing meal in the town center of Chamonix. If there is anything that is a certainty, there is always an abundance of amazing views and amazing food in Cham. I’m certain that the reason I always feel so good after spending time in the Alps has to do with the clean mountain air and the fresh, preservatives free food. Over dinner, we chatted about the plan for the next day and came to a consensus that we would be heading through the tunnel under Mont Blanc to the Italian side of the mountain in order to test out the Helbronner ski area at Courmayeur. This is the first season that the gondola has been open to the top of the Italian side of the mountain and reaches up almost as high as l’Aiguille du Midi. An added bonus is that each run has the potential for nearly 2,300 meters of flying. Yes… EACH RUN! After enjoying the two gondola rides, each of which rotates 360 degrees from start to finish, we made our way to the launch site and walked around a bit to gain our bearings. We felt we had a pretty good grasp on things when wouldn’t you know it, nearly a dozen of our best friends showed up to add to the fun. 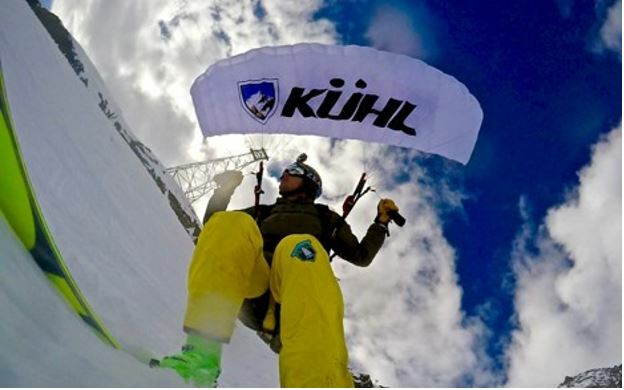 GoPro Bomb Squad teammates Jesse Hall and Marshall Miller and one of my favorite humans on the planet, Sean Chuma joined us for a full day (averaging 4-5 runs top to bottom each) of gut busting laughter and eye popping, adrenal gland pumping fun! I am quite certain that you could spend a full week of flying here every day, all day and never fly the same line twice. After 30,000+ thousand feet of vertical, it was time to enjoy an espresso and sandwich while we waited for our bus to bring us back to France. After chatting it up on the bus with some expats on holiday from Spain, we made our way back to the Airbnb, ate cheese and bread and decided on the next day’s festivities. 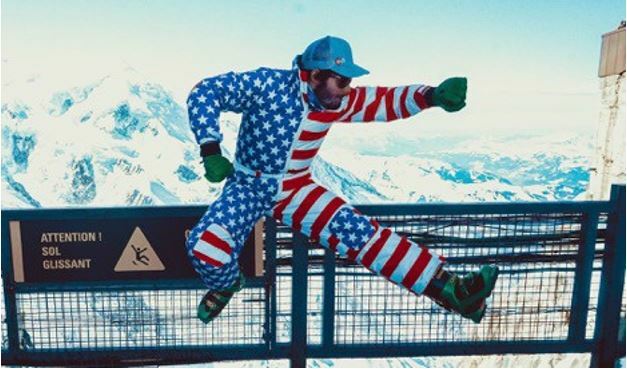 While Graham Shea decided on skiing the next day and Mick Knutson was determined to keep the flying going, Troy and I opted for a chill tourist style day in town and on the mountain. Troy and I’s last full day in France was spent enjoying crepes, coffee and the amazing views of l’Aiguille du Midi where we once again ran into our friends Marshall, Jesse and Sean as they hucked themselves off of a small ledge of the Midi station and flew their wingsuits over the glacier to the valley floor nearly 10,000 feet below. It was pretty interesting to see how “every day” these types of activities are in the Alps. We would certainly be arrested or chased off here in the states. What a relief it is to go to a place where individual freedom in the mountains is not only tolerated, but respected and quite frankly, a way of life and a part of their culture. I love this about the Alps and it’s what has me going back for more, year after year.